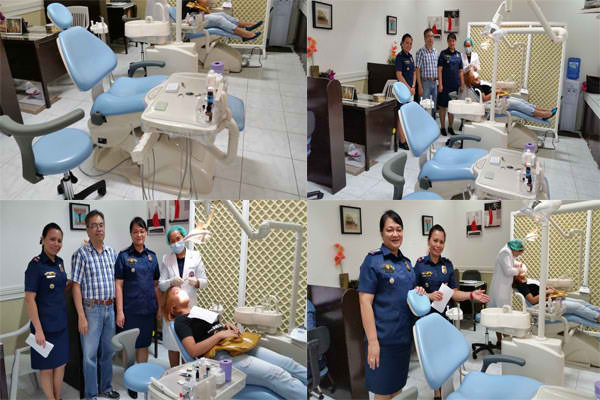 The Philippine National Police Foundation Incorporated (PNPFI), under the chairmanship of Senator Panfilo M Lacson, is again today donating equipment to the Philippine National Police (PNP) worth more than ? 2.5 Million. Since the start of this year (2018), approximately ? 7.9 Million worth of police and office equipment has been donated to 53 offices and units of the PNP throughout the country. 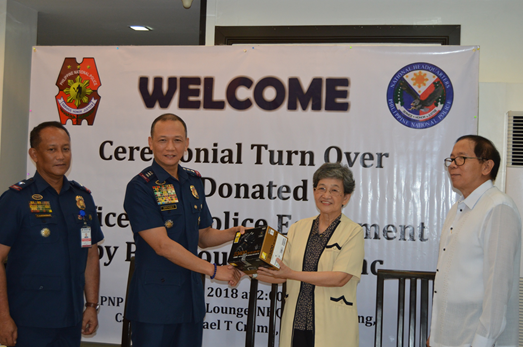 With the approval of the PNPFI Board of Trustees during its regular meeting on November 22, 2018, the Foundation will donate various office and police equipment, including some items for a regional EOD/K-9 unit, to 15 PNP offices and units located in Northern and Central Luzon that were affected by the series of tropical depressions in July and August this year as well as super typhoon “Ompong” in September. Police Regional Office (PRO) Cordillera will receive the bulk of the donations for eight (8) Municipal Police Stations, the Regional Public Safety Battalion and Explosives Ordnance Disposal/K-9 Unit. 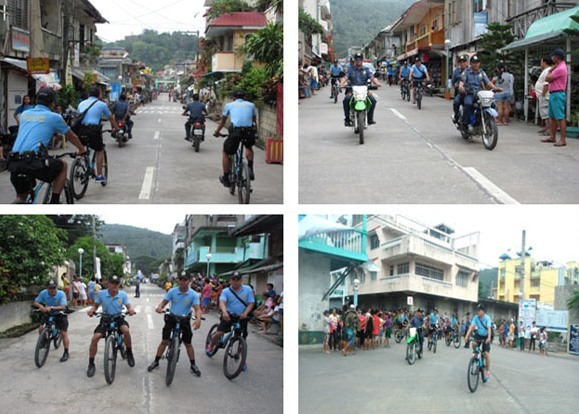 Other recipients are the Regional Headquarters of PRO 2 and two (2) of its Municipal Stations, Ilocos Sur Provincial Police Office in PRO 1 and Aurora Police Provincial Office in PRO 3. 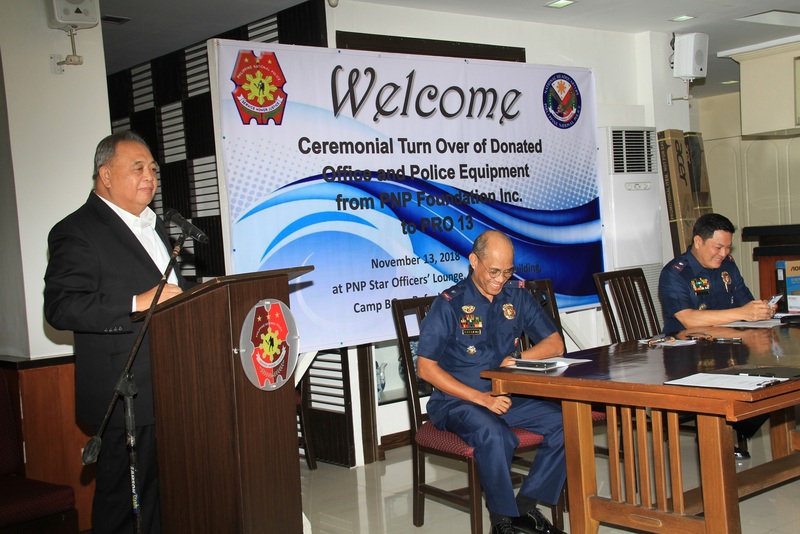 The Corporate Secretary of the Board of Trustees of the PNPFI, Atty Ramon S Esguerra, will make a ceremonial turnover of the donated equipment to Police Director Jose Victor Ramos, the Director of the PNP Directorate for Logistics. 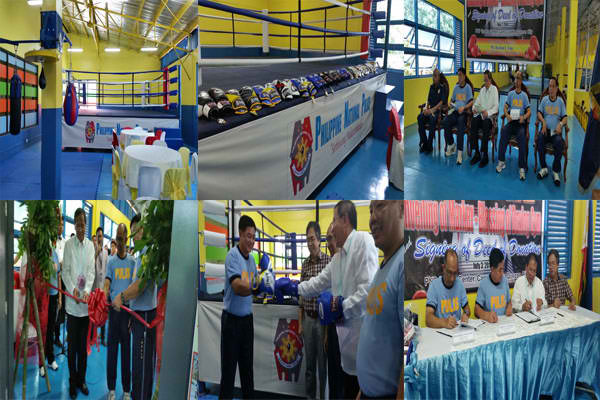 They will also sign the Deed of Donation to be witnessed by retired Police Director Victor G Batac, PNPFI Executive Director, and Police Chief Superintendent Rolando Z Nana, Regional Director of PRO Cordillera, for the PNP. For this latest donation, the PNPFI Board of Trustees approved the requests for 206 items consisting of: ? 48 sets of Intel Core i3 7th generation desktop computer; ? 15 units EPSON L3110 3-in-1 Printer; ? 12 units EPSON L120 Printer; ? 10 units ACER X118 DLP Projector with projector screen; ? 9 units Nikon D3400 DSLR Camera; ? 4 sets Behringer Portable Public Address System; ? 4 sets CCTV with 4-channel Camera ? 36 units Motorola SMP468 Handheld Radio; ? 6 units Motorola XiR M3000 series Base Radio; ? 2 sets electric 1.5HP Power Spray for Dogs; ? 3 units Vari Kennel Pet Carrier; and ? 57 units Sunpeed Mountain Bike. The Board of Trustees of the PNPFI is composed of Senator Panfilo M Lacson (Chairman); Ms Teresita Ang-See (Vice-Chairman); Rafael P Dizon III (President); Atty Ramon S Esguerra (Corporate Secretary); Ramon L Lim (Treasurer); Omar T Cruz (Auditor); Domingo H Yap (Trustee); Augusto Cesar DM Bengzon (Trustee); and, Victor G Batac (Trustee), who also currently serves as Executive Director of the PNPFI. 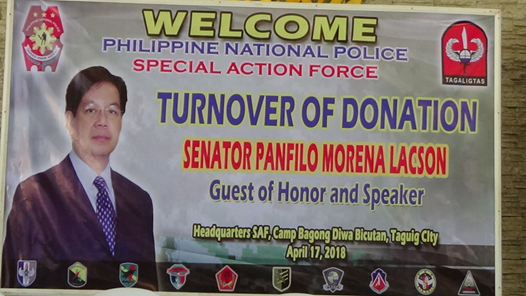 The Philippine National Police Foundation Incorporated (PNPFI), under the chairmanship of Senator Panfilo M Lacson, is again donating equipment to the Philippine National Police (PNP) worth more than ? 2.35 Million. Since the start of this year (2018), the Foundation had already donated more than ? 5.4 Million worth of police and office equipment to 38 offices and units of the PNP throughout the country. 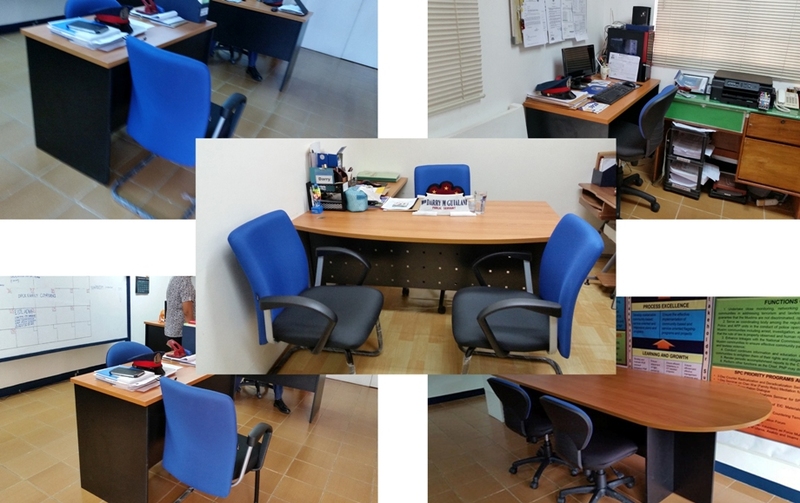 With the approval of the PNPFI Board of Trustees during its regular meeting on September 20, 2018, the Foundation will make another donation of various office and police equipment to 21 Municipal Police Stations (MPS) located in depressed localities within the AOR of Police Regional Office 13. The Executive Director of the PNPFI, retired Police Director Victor G Batac, will make a ceremonial turnover of equipment to Police Chief Superintendent Gilberto DC Cruz, Regional Director of PNP PRO 13. They will also sign the Deed of Donation. 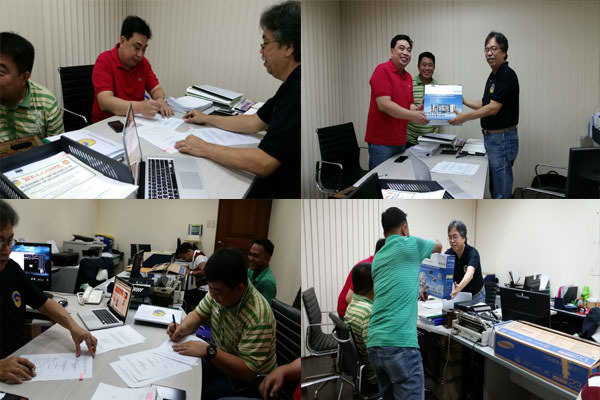 For this latest donation, the Board of Trustees of the PNPFI approved the requests for 214 items consisting of: 68 - Sets of Intel Core i3 7th Generation desktop computer 22 - Units EPSON L3110 3-in-1 Printer; 18 - Units EPSON L120 Printer; 8 - Units ACER X118 DLP Projector with projector screen; 2 - Units Sony Video Camera; 12 - Units Nikon D3400 DSLR Camera; 1 - Set Behringer Portable Public Address System; 1 - Set CCTV (4 channels) Camera; 78 - Units Motorola SMP468 Handheld Radio; and 4 - Units Motorola GM3188 Base Radio. The Board of Trustees of the PNPFI is composed of Senator Panfilo M Lacson (Chairman); Ms Teresita Ang-See (Vice-Chairman); Rafael P Dizon III (President); Atty Ramon S Esguerra (Corporate Secretary); Ramon L Lim (Treasurer); Omar T Cruz (Auditor); Domingo H Yap (Trustee); Augusto Cesar DM Bengzon (Trustee); and, Victor G Batac (Trustee), who also currently serves as Executive Director of the PNPFI. 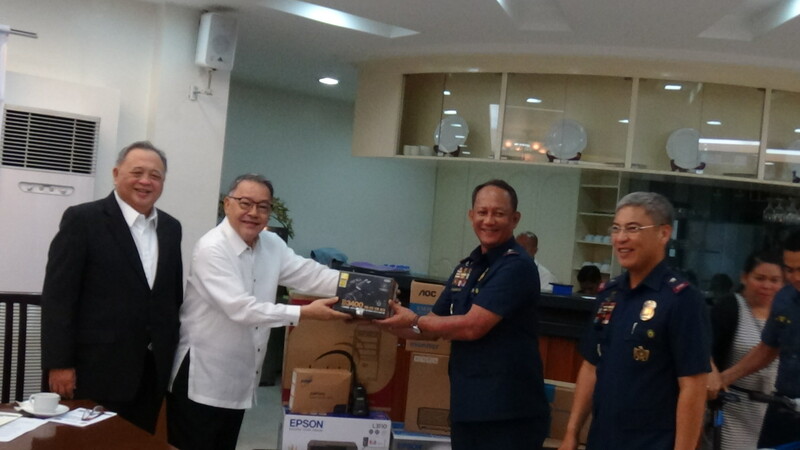 Turn over of donation of IT Equipment (Computer Tablets, Laptops, Desktops and Printers} on April 17, 2018 at SAF HQ, Taguig City. SENATOR PANFILO M. LACSON, PNPFI CHAIRMAN, with Ms. TERESITA ANG SEE, Vice Chairperson, PNPFI, and PDIR VICTOR BATAC (Ret.) 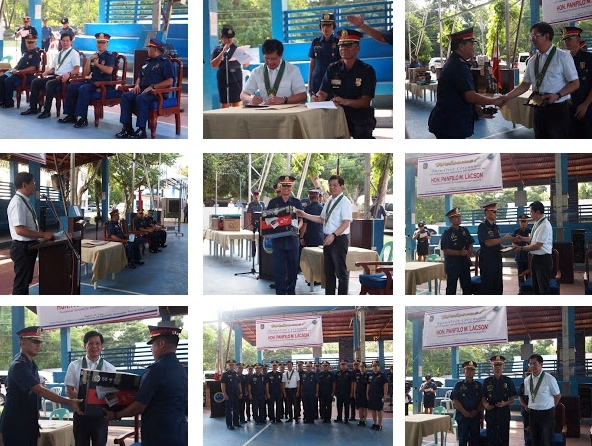 Executive Director, PNPFI handed over the donation to PDIR NOLI G. TALIÑO, SAF Director. 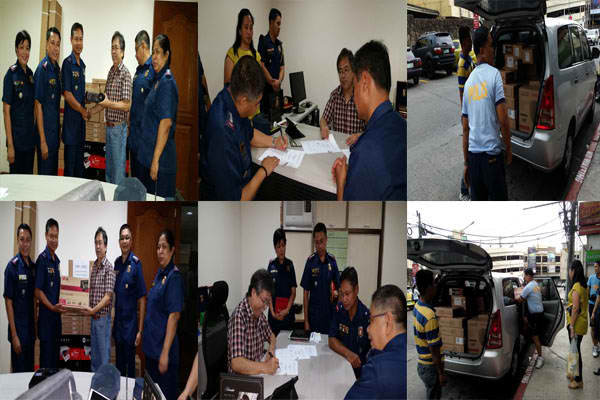 Helping the PNP improve the quality of its service to the public. The Philippine National Police Foundation, Inc. (PNPFI) was established by private citizens with a common goal to make the Philippines crime-free and safe by supporting the Philippine National Police as it copes with the demands of an ever-evolving society. 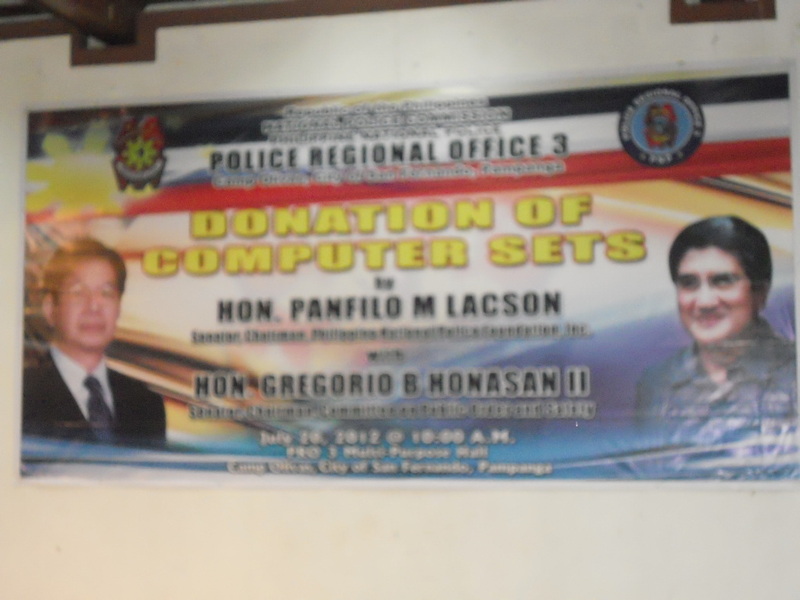 Philippine National Police Foundation, Inc.